Since opening Salare in Seattle last year, Edouardo Jordan has racked up national praise for the personal mix of European, Southern, African and Caribbean flavors in his food. It would be understandable if he let the attention go to his head, but Jordan doesn’t; he thinks about how hard he worked to get there, starting with his first kitchen job as a fry cook in Florida. He and his then-fiancée moved to Napa so Jordan could do a six-month apprenticeship before they later headed to Washington state, where his wife is from and where Jordan worked at The Herbfarm, north of Seattle. He later staged at a salumeria in Parma, Italy, took a job at Per Se in New York, and then helped Jonathan Benno open Lincoln Ristorante. While in New York, Jordan started working on a business plan for his own restaurant—but he and his wife knew New York wasn’t the right fit. Seattle beckoned him back. Still, it would be a few more years before Salare opened. In Seattle, he connected with Matt Dillon of Sitka & Spruce and worked as chef de cuisine at Dillon’s Bar Sajor, a restaurant focused on wood-fired cooking. The extra time gave Jordan the opportunity to refine what he wanted out of his own place. “I thought my restaurant was going to be an Italian-and-French blended restaurant,” he explains. But then he decided to get more personal. “I started incorporating my Southern background and the heritage foods of the South,” he says. This meant not only serving a charcuterie/salumi platter but also stocking ingredients like sorghum syrup, something his grandmother always used in place of maple syrup. 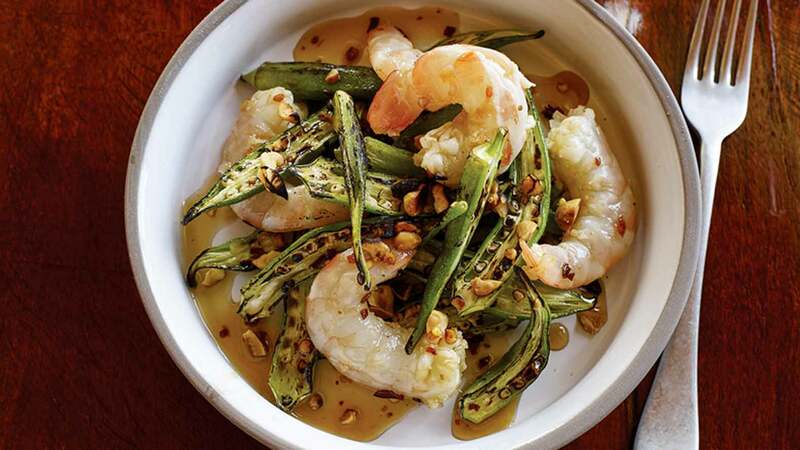 These influences come together on Salare’s menu, not only in dishes such as blistered okra served in a sweet-and-sour style with shrimp and peanuts ($12, recipe) but also in style—he wants his restaurant to be a neighborhood place and offers a kids’ menu (he and his wife have a two-year-old son). Always and forever, The Joy of Cooking. It was my first cookbook. It isn’t pretentious. The recipes are tried and true. That book you can pull any recipe and put it on the menu. That’s how tried and true it is. It’s home cooking, but if you want to make a cookie, and you want to make it right, you’re going to find the recipe in that book. If you want to roast something, you can read about how to roast and then follow the instructions. I run a calm kitchen. When we first opened, we had a learning curve getting all of our cooks trained, but even then I’ve always been a calm person. Even when I’m stressing, I’m trying to figure out how not to stress. We will turn on some music sometimes. The reality is, we’re cooking food—we’re not doing surgery; why should we be stressing out? My goal is to cook good and great food. We keep cool. It would be so cool to cook for Oprah, Barack Obama, Spike Lee and Denzel Washington, all at the same table. These are minorities that I’ve always followed. With Obama, he became a shining light in my world for the past eight years. These individuals have done great things, and to cook for these people of color would be an honor. Definitely as a child; at the age of 9, when my mom and grandmother were putting me in the kitchen. I was definitely really young. There were some things my mom would cook. She would make stuffed crabs with shrimp. It wasn't crazy fancy, she would bake it off in the oven, but it was something I always craved. My wife will hate me for saying this, [but] going to my girlfriend at the time's house. She was Jamaican, and just tasting ingredients that I was unfamiliar with, that's when I realized that there's a bigger world than the one I was eating and cooking in in Florida. It was also at college, where I also experienced all these various cultures around me. With these experiences, it became clear that there is a much bigger food world out there. I love cooking with chiles, even the simple bell peppers. Chiles bring so much flavor to the dishes. For me, it's the MSG of the kitchen. It's a representation of my culinary journey. If you had to describe your restaurant in one word, what would it be? Can I use a hyphen? How about ‘neighborhood-restaurant.’ Or a ‘modern-day-mom-and-pop.’ I guess that's five words. I would be in the sports world. Sports agent, sports law, helping athletes in some way. I don't have one sports team that I live and die by, but I love the energy of the Seahawks in Seattle. I'm terrible at following trends. I would say that no single person inspires me, but that my young cooks and the servers at the restaurant get me excited to come to work and continue to strive and make changes on the menu. They inspire me. I love gin, so that's the drink of choice. For eating, it goes back to growing up. I love the one-pot wonders, the stews and braises over rice. I love pasta. I don't go out and eat anything crazy unless it's a special occasion. And I still love burgers. Because I run a restaurant now, I'm over my staging days and years. I don't think about it anymore. Any kind of staging I would do is single-subject staging, like learning how to make the perfect croissant. But it would also be a great thing for me to go to a chef summit and work alongside Frank Stitt, Thomas Keller, Rene Redzepi. That would be inspiring. Really hoping to be able to get in some day. 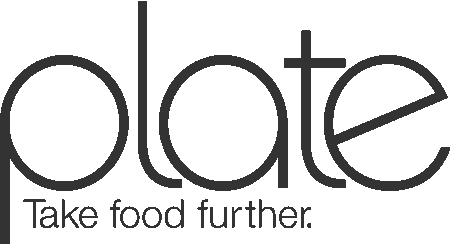 We've had this on our radar since moving to Seattle - in a great food scene this one really stands out. Big congrats to the chef and his staff!